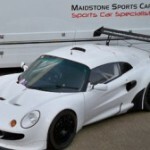 For years Maidstone Sports Cars have been popular with enthusiasts offering servicing and Honda engine conversions. Now, following the decision by Lipscomb Group not to renew their Lotus Dealership, they joined the Lotus family as a Lotus Heritage Repairer. 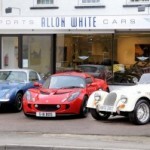 Maidstone Sports Cars have been officially appointed Kent’s only Lotus Heritage Repairer. After news broke that the Lipscomb Group would not be renewing their Lotus Dealership, MSC have been chosen to maintain an official Lotus Heritage Repairer in Kent. The transfer has already begun, ensuring there is no disruption to the Lotus Owner. Our technicians have received the latest Lotus training from the Hethel factory, bringing us up to date on the current Elise, Exige & Evora Range. 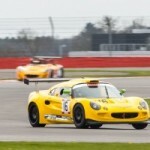 What does this mean for Lotus Owners? MSC now have access to the latest Lotus diagnostics and technical data, along with a better discount on Genuine Lotus Parts. We will also not be increasing our labour rate or fixed price service costs. MSC aim to provide main dealer service at independent specialist prices.